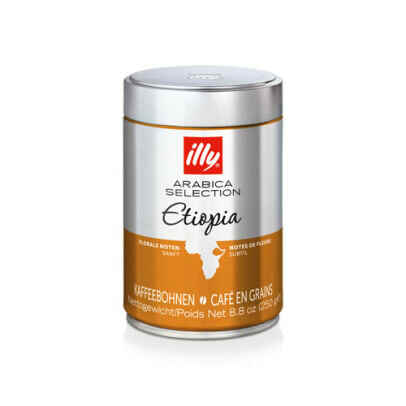 Illy Ethiopia is an exclusive blend of beans from Yrgacheffe region of Ethiopia. There is a medium coffee with gentle flavour notes of jasmine and citrus. Try the light and elegant cup and enjoy a perfect blend of bitter and sweet with fruit notes.The taste is a nice mix of sweetness and acidity. It contains flavours like fruits and flowers mixed with chocolate, caramel and honey. 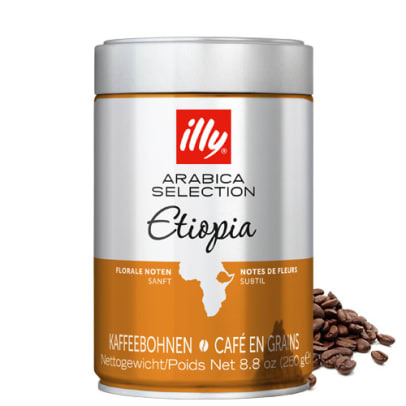 Contains 100% Arabica beans from the world's most recognized coffee brands, illy. recommendations:Suitable for brewing espresso, mocha, filter coffee and plunger coffee. Depending on grinding we recommend using 7g. ground coffee per cup. 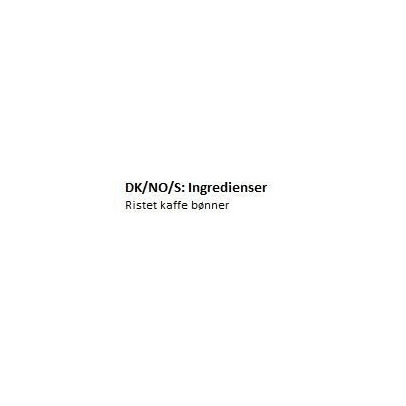 Den bedste kaffe, drikker ikke andet. Dejlig rund og rund smag,. Delig kop kaffe, drikker ikke andet kaffe for tiden.